These soft and delicious Vanilla Caramels are so full of flavor it's hard to believe they're sugar free! Sweetened with Splenda, each piece is wrapped individually for convenience. Artificially flavored. Reduced calorie. 25% Less calories than regular hard candy. A fat free food. Total carbs 15g - HSH (sugar alcohol) 15g = 0 net effective carbs. Diabetics: This product may be useful in your diet on the advice of a physician. 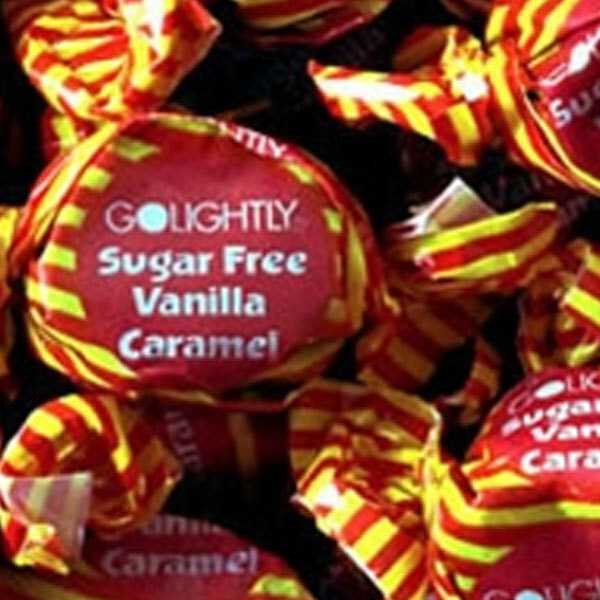 Whether you are watching your weight, or simply want a healthy treat, enjoy GoLightly's delicious sugar free candy! 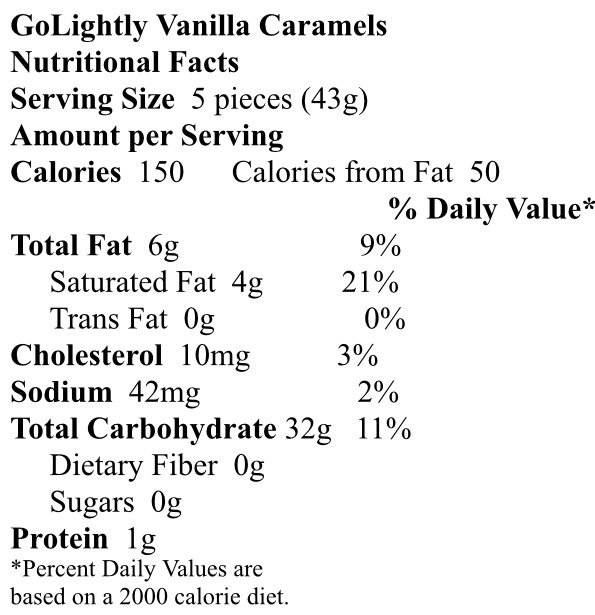 0 or Low net carbs; 0 or Low sodium; No trans fats; Safe for diabetics. Exchange Information: 1 serving = 1 fruit. Made in the USA. Great candy tastes like the real thing, Fast mailing I Got it in 3 days.